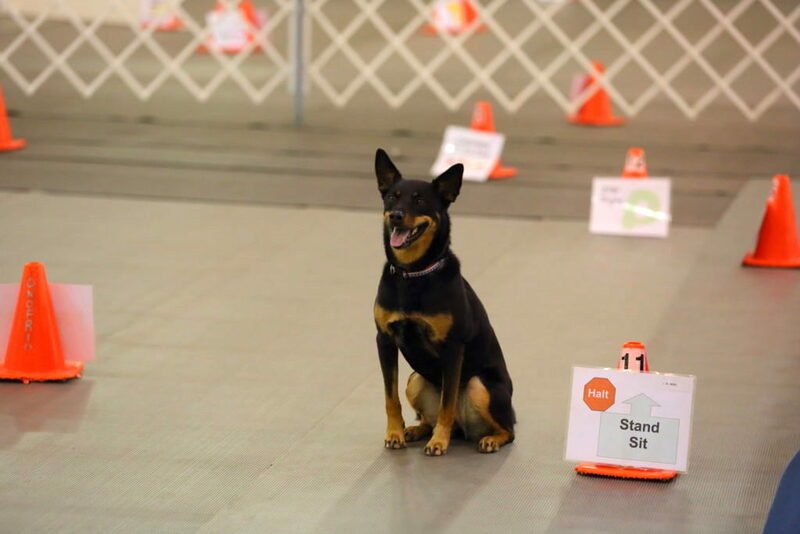 instructions with exercises that are to be performed, including directional movement and commands such as sit, down, stay, etc. 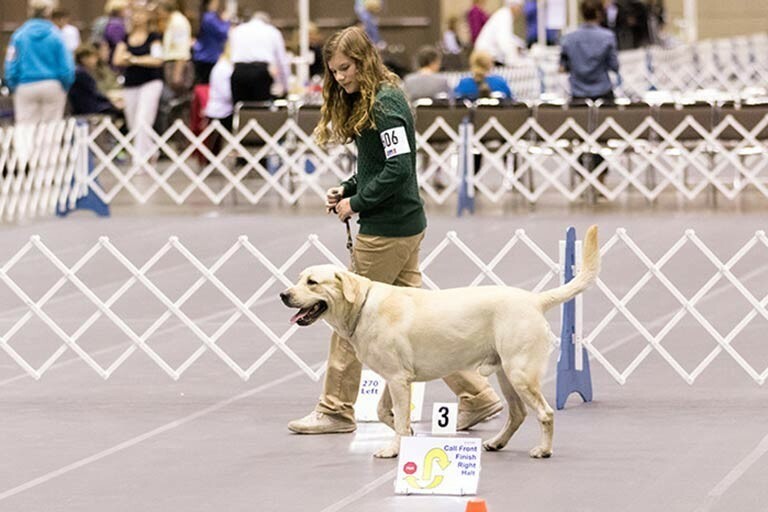 The dog and handler move continuously, at a brisk pace, throughout the course with the dog under control at the handler’s left side. with the dog under control. hands, pat your legs and use hand signals to praise and encourage your dog. obedience skills and behavior – at home and in public. 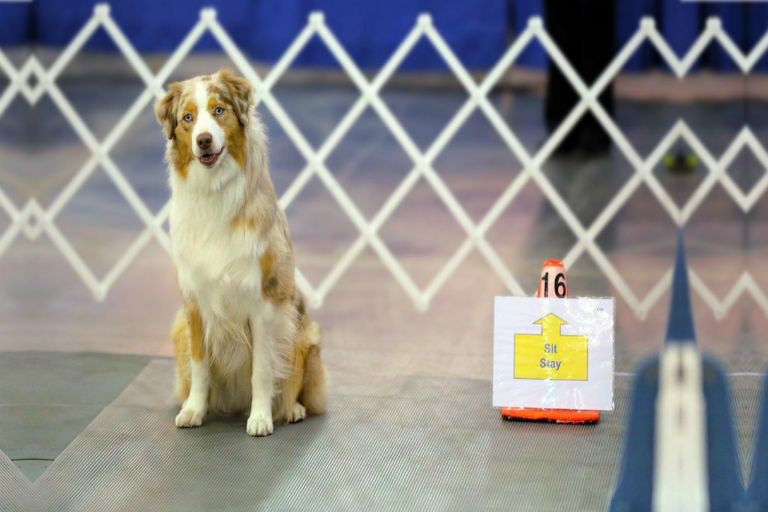 Scoring in Rally is less rigorous than in other competitions like traditional obedience or agility. You begin with a perfect score of 100, with points deducted along the way. If you retain a score of at least 70 points, you will qualify toward earning a title. As you qualify the required number of times, you will move onto the next level.